Hempstead Town Supervisor Anthony Santino is joined by Councilman Gary Hudes, Legislator Dennis Dunne, Don Patane and Pat Iaquinta. As you drive down Hempstead Turnpike, you will come to an expansive vacant lot that has been a ghostly presence in Levittown for more than 15 years. 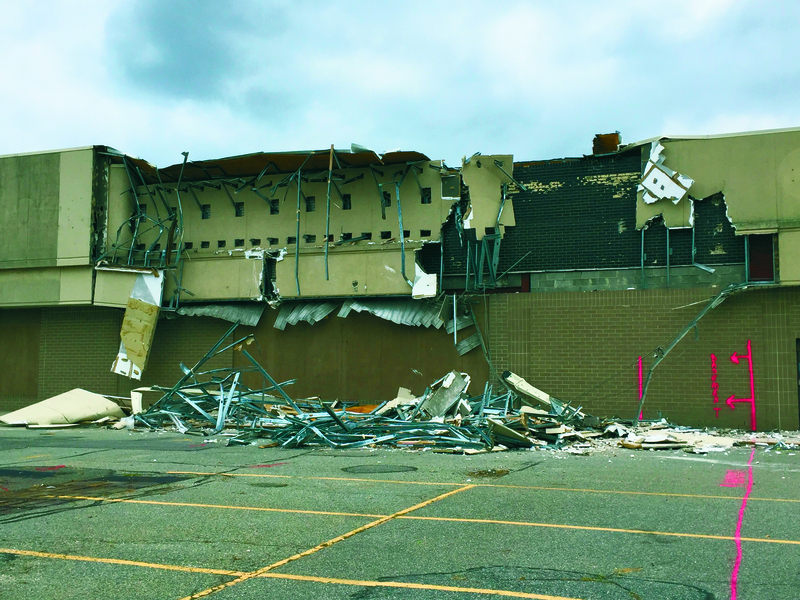 On Sept. 28, after many years of speculation as to what would occupy the property located at 3350 Hempstead Tpke., a long-awaited press conference confirmed that the site would be the location of a new Home Depot, and demolition began to break new ground. 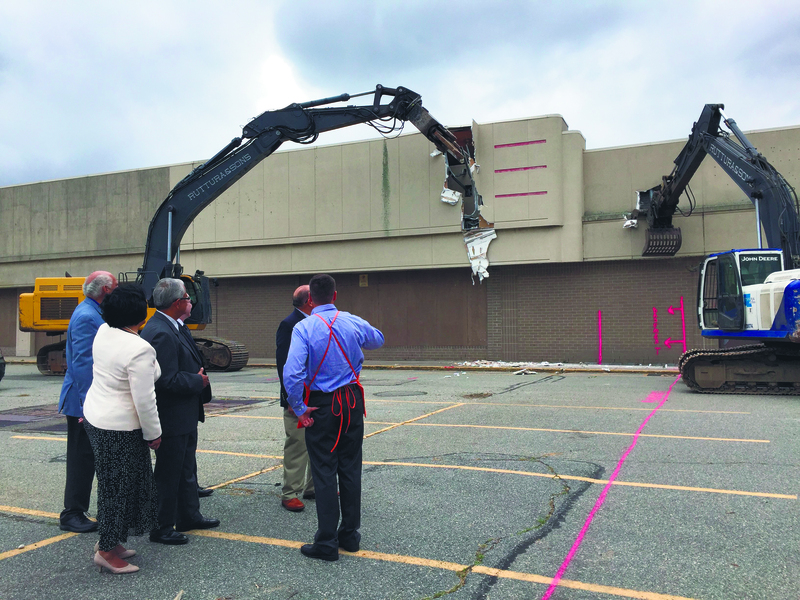 Hempstead Town Supervisor Anthony J. Santino and Councilman Gary Hudes joined the management of The Home Depot to kick-off the demolition of what was once home to Kmart, Border’s Books and Office Max. Also in attendance were Town Clerk Nasrin Ahmad and Receiver of Taxes Don Clavin. At one time, the corner of Hempstead Turnpike and Gardiners Avenue was a symbol of economic prosperity. 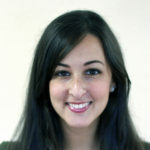 Santino stated that Levittown neighbors have been anxious for a new business to come, and that a progressive development plan would be in harmony with the surrounding neighborhood during the construction of Home Depot, which will have 114,000 square feet of store and 28,000 square feet for the home and gard en center. 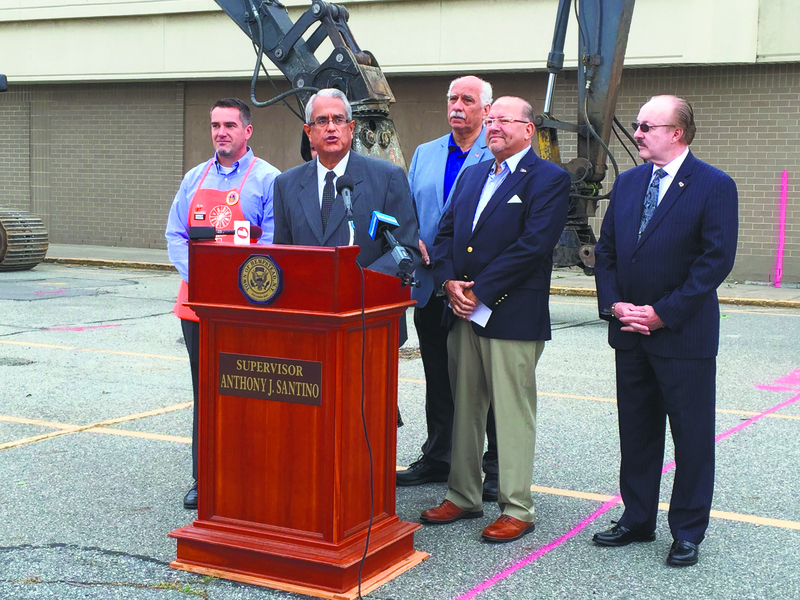 “Today, we are here to happily tell everyone in Levittown that their wish has been granted and this building is being demolished to make way for a new business that will bring jobs and sales tax revenue to our thriving community,” said Santino, adding that Home Depot has received all town permits necessary to commence demolition and begin construction. 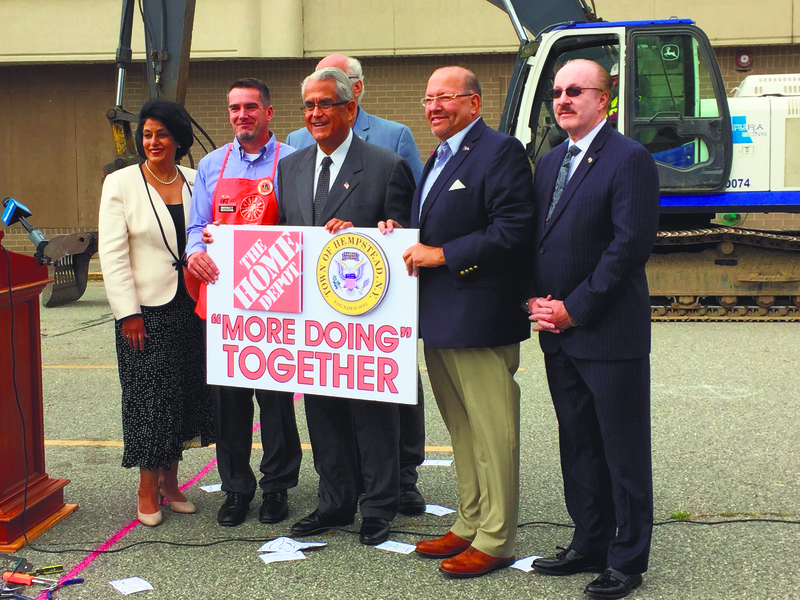 As the Home Depot slogan says, “More Doing,” employee Pat Iaquinta also spoke about the excitement of joining the Levittown community. “Home Depot lives by a real specific set of values and giving back and we look forward to the opportunity to work together,” he said. 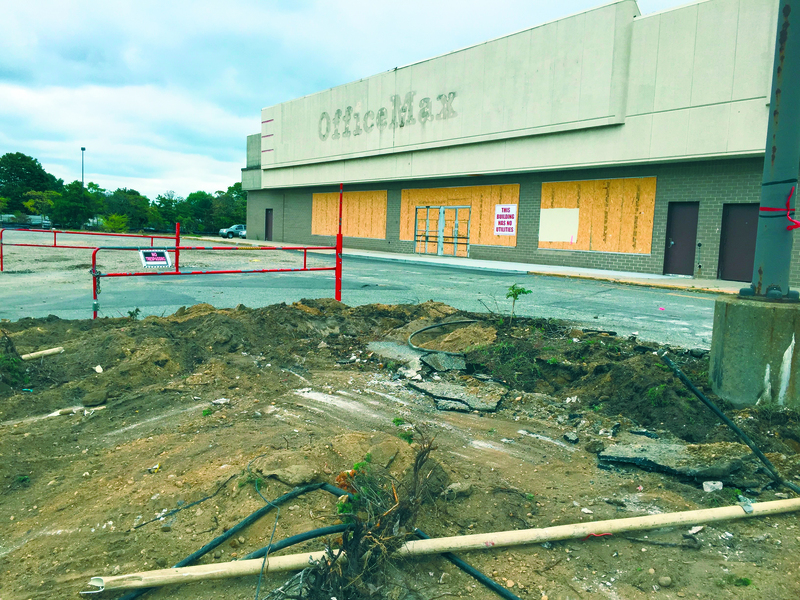 The site, which is the last major lot available for development in Levittown, has been empty for years due to the great recession, and now that the slate has been wipe d clean, residents can now have more local access to the home and hardware store.